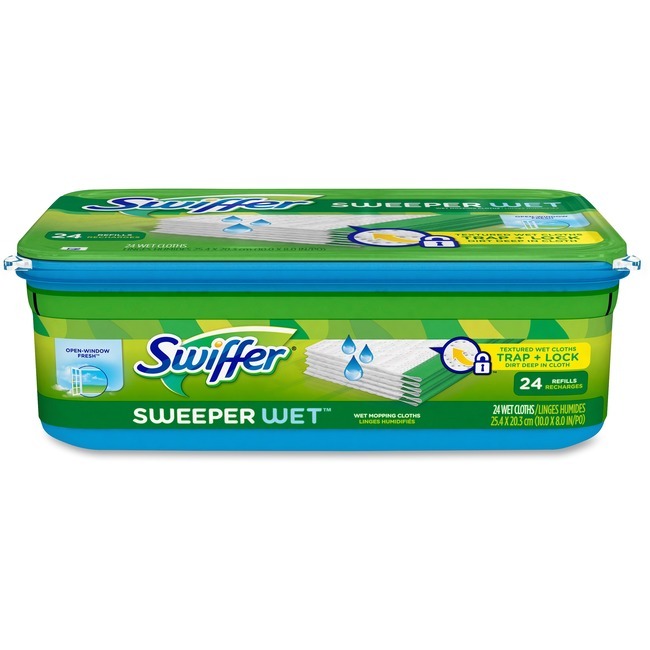 Disposable wet cloth is designed for mopping with Swiffer Sweeper. 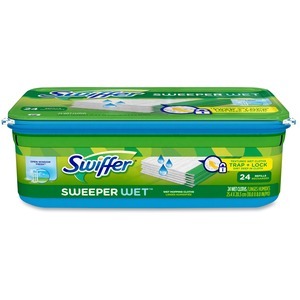 Thick, wet cloths are filled with dirt-dissolving solution and feature a scrubbing strip to clean tough spots ranging from dried-on food to scuffs. Open Window Fresh scent provides a clean, pleasant smell.